Do you want to get healthy and lose weight but you have no time for cooking? Green Thickies are perfect for you! Katherine invented them so she could have enough energy to look after her baby, lose her baby weight and save time in the kitchen. 2 minutes a day is all you need to completely transform your body and your health. Enable you to feel good about yourself because you accomplished something, you made that healthy change in your life and you did it in literally just 2 minutes a day! Is all this possible just by changing your breakfast? You wouldn't believe how many emails I get from people saying this very thing. It all starts with healthy food that's quick and easy to make and tastes so good you'll actually look forward to it. "Delicious, filling and HEALTHY. Just what I was looking for! I loved this book, very inspiring. I've been wanting to get back to drinking a smoothie in the mornings, but just didn't feel inspired to make the same old thing. For me, a smoothie has to taste good AND be healthy. Well, this book gave me TONS of great ideas for making a different smoothie (everyday if I want) with ingredients I already have in my kitchen. Many of which I would never have thought to put in a smoothie -- you know your stuff, Katherine Kyle. THANK YOU. Oh -- just had my first official Green Thickie smoothie. Filling and delish. Looking forward to tomorrow :)"
"I feel like a green smoothie expert now This book is great!! I thought I'd just be getting recipes (which are awesome, by the way), but it turns out that Katherine includes tons of information about the HOW and WHY of making green smoothies, too -- including some very helpful troubleshooting tips and advice for making the most delicious smoothies (which is great, because if you're like me, you're super tired of bland or just plain icky recipes!). I've been avoiding trying to make my own smoothies because I thought it was too complicated. This book definitely gave me the confidence to go for it!" "Green Thickies are an amazing way to gain healthier nutrition for yourself and your family in a way that doesn't limit your options or your creativity. These no nasty additive drinks can be used for weight loss also, and are highly nutritious, taste good, and are convenient to make and even take along on a busy day. Kids like them too, so moms can be the hero-always a plus! Great for creating your own special favorites once you get the hang of it! A must try option for your busy life!" "Coming off a nutrition shake-based cleanse, the green thickness allow me to transition to whole foods while maintaining the benefits and convenience of a liquid meal. This book combines enough recipes to keep things new and interesting for months, while at the same time providing a narrative discussion of preparation and mixing strategies to not only be successful in following the recipes but take ownership of developing your own recipe derivations. Really the way all recipe books should be." "The recipes in this book are so easy and delicious. The idea of thickies is such a good one, much more filling than a smoothie, these really are great meal replacements. They're fab for on the go meals and a great way of getting healthy food into my little boy too. I highly recommend these recipes, they're absolutely fantastic and delicious." "I am loving this book! There are so many great recipes and things I never thought of before to make a filling smoothie that acts as a meal replacement. I've been making green thickies for almost a week now and I feel so good! I can't believe how filling they are, too! All the recipes I've tried have been delicious and easy to make. Great book!" "With so many awesome recipes, this is a great resource to have on hand. Some days getting enough veggies is hard, especially with (and for) my two small kids. These green thickie recipes are a great way to eat nourishing whole food. Simple, fast, and yummy!" So for the price of a family breakfast at a fast food restaurant, you can learn how to spend just 2 minutes making a filling, healthy Green Thickie, so you never have to visit one of these fast food restaurants again. Make your own healthy fast food! Think how much this is costing you every day that you don’t take action to improve your health. You are spending money to destroy your health and gain weight because you haven’t spent just 2 minutes making your own healthy fast food that will save you money, improve your energy and help you lose weight. How much money have you already wasted buying complex, expensive healthy diet plans that you haven’t stuck to? Now is the time to make a daily change - not a faddy diet but a change that is going to benefit you the rest of your life. You will be the envy of all of your friends when they see you effortlessly lose weight while you continue to live your busy life. Imagine you feeling so in control of your life, so confident with your new elegant slim body, and so proud of everything you have achieved. There is no beating this amazing feeling of success. But don’t delay. This recipe ebook will only be available at this price until the end of the week. After that the price will go up. If you are unsatisfied with this product for any reason contact us within 30 days for a prompt 100% refund and keep the ebook. No questions asked. Click on the add to cart button above. Get started today and discover how amazing you can feel after drinking Green Thickies, with no impact on your current lifestyle. You should drop excess weight and notice a big improvement in your health in as little as one week. Notice the difference, or your money back. Hurry…. 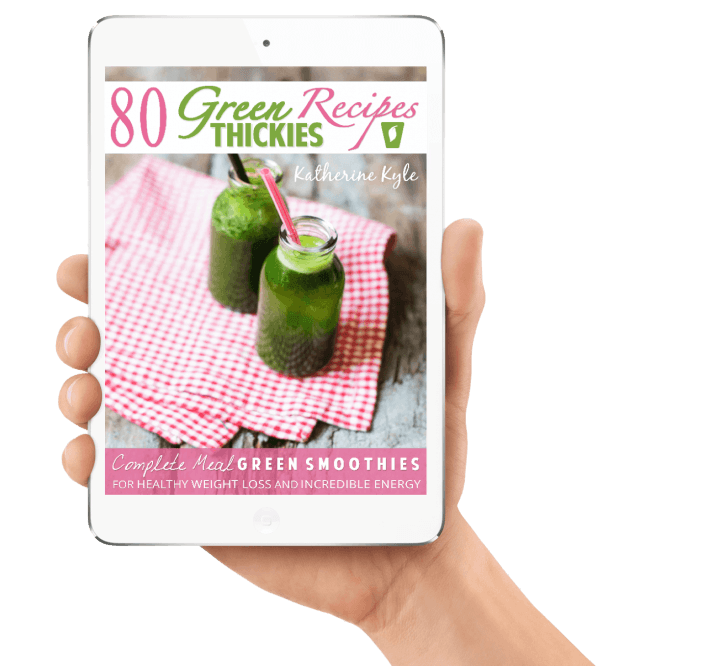 Buy 80 Green Thickies Recipe eBook And Get FREE Smoothie Bottle Now!! …all for just $29 $14. Click the “Add To Cart” button now for INSTANT ACCESS to the Green Thickies Recipe eBook! Take your Green Thickie with you in style and never be without your green fix every day with one of these stylish smoothie bottles. This bottle is perfect for getting Green Thickies quickly from the bottle to your mouth as it is nice and wide! This bottle also has an extra attachment to turn it into a regular water bottle with a smaller hole. The choice is yours! The cap of the bottle is made of FDA food grade PP. The body of the bottle is made of the advanced and environmental-friendly resin.